What Are Billing/Insurance Labels And Forms? Billing insurance labels and forms help medical records and accounts receivable departments convey important financial information. Hospitals, veterinary practices and more use billing insurance labels to organize bills and insurance claims and accelerate the payment process. Billing insurance labels and forms communicate important messages that guide the staff. They reduce errors by distinguishing bills with insurance claims, identifying past due accounts and communicating important payment information, such as friendly reminders, past due and final notices. 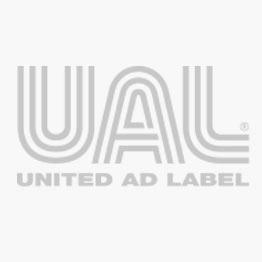 United Ad Label billing insurance labels and forms are in stock and available for immediate shipment. The come in bright colors that are sure to stand out and encourage action. Plus, they are available in bilingual formats. Billing and Collection Label, 1-5/8" x 7/8"
Blue Cross Insurance Label, 1-1/4" x 5/16"
Blue Cross Insurance Label, 1-5/8" x 7/8"